Fit your front and back door with security gates (metal grills) for added protection. Don't work in your backyard with your front door unlocked. Never open the door to strangers, no matter what excuse they have for calling on you. A peep-hole and safety chain will allow you to identify strangers without endangering yourself. If you are in doubt, play it safe, never allow the strangers in. Never hide your keys under pot-plants, mats or in your post box If you live alone, ask your friends, or family to phone you regularly. Keep your change in your purse or wallet and credit cards and notes in an inside pocket, never in the back pocket of your trousers. Avoid waiting at deserted terminals, wait in well-lit areas. Stand close to others who are waiting for the transport. When you reach the destination, take note of who leaves with you. Make sure your car is in good condition so that you are not stranded in empty streets. Keep your doors locked and windows closed while driving. Park your car in a well-lit area at night. Check your security on a regular basis. When you change your clocks for daylight-savings time, revaluate your computer security. While we make every attempt to protect our surfers from virus attacks and other malware, essential protection from viruses, hackers, and privacy threats is critical for online business owners. There are a lot of viruses out there. But some aren't really out there at all! Following is some helpful information to research virus and virus hoax information, and some free programs to help you fight the constant threats. Several reputable virus software companies provide up-to-date information on the latest virus threats. Many of our members successfully use these free virus protection programs and they have all been reviewed by reputable sites. However, as with all freeware programs, there are no guarantees that they will not conflict with other programs on your computer. Safety Tips While Travelling in Railways. Always use foot over bride (FOB) while changing platforms. Always take tickets / reservations from railway counters and do not fall in pray of hackers. Do not travel on the foot board or roof of the train or lean out of the compartment. Keep the door of the compartment closed during night. Do not try to entrain or detrain when the train is in motion. Do not carry any inflammable article or crackers in compartment nor try to light them up in compartment. Do not accept any food or beverages offered by strangers or co- passengers unless you are familiar with them. Any unclaimed luggage or suit case if found in the compartment or railway premises, no effort shall be made to open them or handle them but advise RPF/TTE/GRP or any other railway official. Suspicious movements or action by anybody if noticed shall be brought to the notice of the RPF/GRP or any other railway official. Safety Tips in ATM Counter. Always pay close attention to the ATM and your surroundings. Don't select an ATM at the corner of a building -- corners create a blind spot. Use an ATM located near the centre of a building. Do your automated banking in a public, well-lighted location that is free of shrubbery and decorative partitions or dividers. Do not allow people to look over your shoulder as you enter your PIN. Memorize your PIN; never write it on the back of your card. Do not re-enter your PIN if the ATM eats your card -- contact a bank official. When using a drive-up ATM, keep your engine running, your doors locked and leave enough room to manoeuvre between your car and the one ahead of you in the drive-up line. Identity specific safe place in each room of house, outside the house and every member of the family should know the place. Do practice for safety and also safety of your head to avoid injuries. Identify dangerous places in house and be at a distance during earthquake. Identity safe place outside house where you and your family member can take shelter. Ensure there is no obstruction en-route to the safe place. Ensure member of the family must know where to be collected after earthquake. Ensure each member of family has knowledge about first-aid and always keep some medicines. Ensure almirah & other heavy luggages are tightened properly to avoid fall and head injuries. Ensure heavy luggage if any be kept in the bottom rack of almirah. Make sure that people residing in flood prone area are fully aware of dangers of flood. Listen instructions conveyed by media, radio or local authorities about heavy or prolonged rainfall in your area and follow strictly. Discuss among community members about impending dangers of flood and take preventive measures with their support. Mark the areas likely to be affected by flood and take preventive actions with support from the community and local administration. Gather information about past incidents of flood, if any, and take protective actions. Gather information about high grounds nearby in your area, which can be used as shelter. Arrange proper drainage of flood water, and assign responsibility for its maintenance by community members. Inspect bundhs / embankments / roads and houses which are likely to be damaged during flood and repair or strengthen them with stones, trees, ballies, and bags etc. Keep essential flood, rescue equipment, stores in your possession. Don’t follow alternate route but follow defined / marked route. Take care of debris left behind in flood as the poisonous insects generally take shelter or sharp edged pieces of glasses etc may cause injury. Don’t switch on electrical connection till flood affected house is fully dried up. Cyclone is one of the most disastrous natural hazards which is caused by the storm surge and high tidal waves and is aggravated by torrential rains leading to coastal flooding. Wind speed and storm surge can be extremely destructive after reaching the coastal areas. (Wind speed can reach up to 280 Kms per hour) : In India, annually millions of people are affected by cyclone. Cyclones starts as a depression and is formed in the ocean near the southern tip of India every year, and when these depressions move toward North, they can develop into tropical storms, known as cyclones. It commences as a huge spinning spiral storm and rotates around a so called “eye: where the pressure drops. Cyclones occur in coastal areas particularly before and after summer monsoon i.e. from April to June or from October to December. “CYCLONE ALERT” is issued at 48 hours before the expected commencement of bad weather along the coast. “CYCLONE WARNING” is issued in 24 hours before the cyclone’s anticipated landfall. Warning for the ports and fishery start much earlier and are waned day and night through a specially designed port warning system. Once the cyclone warning is issued, do not panic immediately take refuge in a safe place such as cyclone shelters. Listen to weather updates and other important information through battery operated radio. On receiving the warning message of depression, fishermen should avoid going to the sea for fishing. If your are living in the cyclone zone, find out the nearest cyclone shelter / strong houses to take refuge during cyclone. The coastal fishermen must always keep a transistor in their boats / transistor and listen to the weather forecast regularly. They should not start their boats or must return immediately, once the cyclone warning is issued. Load the magazine only when you reach your shooting area. Load the chamber only when ready to shoot. Completely unload before leaving the shooting area. Identify your target beyond all doubt. THINK: What may happen if you miss your target? What might you hit between you and the target or beyond? When not in use, lock away the bolt, firearm and ammunition separately.. While travelling in/to various tourist places of/around Puri in local buses, trains etc. be aware of pick pocketers and snatchers. Never leave your luggage, briefcase or other items unattended. Never ever purchase air/ rail/ bus tickets through strangers or unauthorized travel agents/ tour operators, also known as touts. They are not at all reliable. Buy tickets from the authorized centers only. Before arrival please pre-book Hotel, lodge, guest house etc. during festive occasion to avoid disappointment / difficulties..
Obey the rules & regulations while going to Temple. Do not enjoy sea bath under influence of alcohol or intoxication & also do not try to go to beach after 8 P.M. Remain alert and vigilant. for suspicious bags, packages or vehicles; people acting suspiciously at stations and airports, and report any concerns to the police or the appropriate authorities. Maintain a high level of vigilance and to take appropriate steps to increase their security awareness. All men & women entering the temple/Imp Places must pass through the DFMDs.. Regular and continuous flow of visitors shall be ensured and none should be allowed to stand by or congregate in and around the gates. The following goals have been established for manufacturing company. 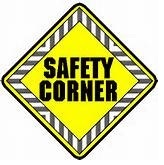 Provide workers with a safe work environment. Conduct routine / regular workplace inspections. Develop and implement safe work procedures and rules. Enforce safety rules and appropriate discipline. Provide on-going property conservation practices. All safety rules must be obeyed. Failure to do so will result in strict disciplinary action. All injuries must be reported as soon as possible. No horseplay, alcohol or drugs allowed on premises. No alcohol usage allowed during lunch. PPE must be worn as prescribed by management. All tools / equipment must be maintained in good condition. Only appropriate tools shall be used for specific jobs. All guards must be kept in place. No specified electrical cords / wiring allowed. Smoking allowed only in lunch room. Seat belt use required of all drivers / passengers. Safety program / Policy and work rules. Accident reporting / investigation requirements. First aid & boood borne pathogens. Criminals know when pensions are due. So arrange for your pension to be paid into your bank or building society account. Ask for help in danger and always wait for the help to arrive.